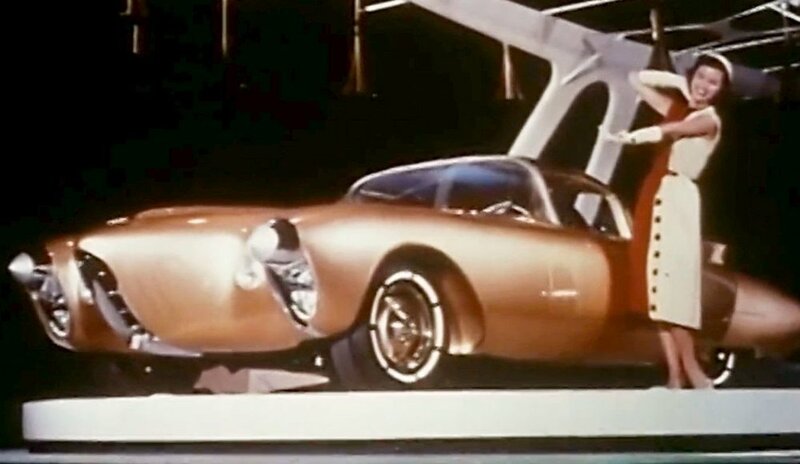 On the closing day of the exhibition - September 11 2016 - we screened William Beaudine's masterwork, Design for Dreaming, a short film produced in 1956 for General Motors. Video, color, sound, 9' 17"
William Beaudine (1892 – 1970) was an American film actor and director. He was one of Hollywood's most prolific directors, turning out films in remarkable numbers and in a wide variety of genres. Beaudine was a low-budget specialist, forsaking his artistic ambitions in favor of strictly commercial film fare, and recouping his financial losses through sheer volume of work. Tags screening, "design for dream", "William Beaudine"